Sony has decided to get into the STEM education game with KOOV, a coding kit containing more than enough sensors, actuators and electronic parts to bring blocky Minecraft-inspired robots to life. Sony ran an Indiegogo campaign to bring the robotics kit stateside last June, but the campaign missed its goal of $100,000, ending at 98% fulfilled. That did not stop Sony though, which is determined to teach kids by focusing on selling an Educator Kit to schools. 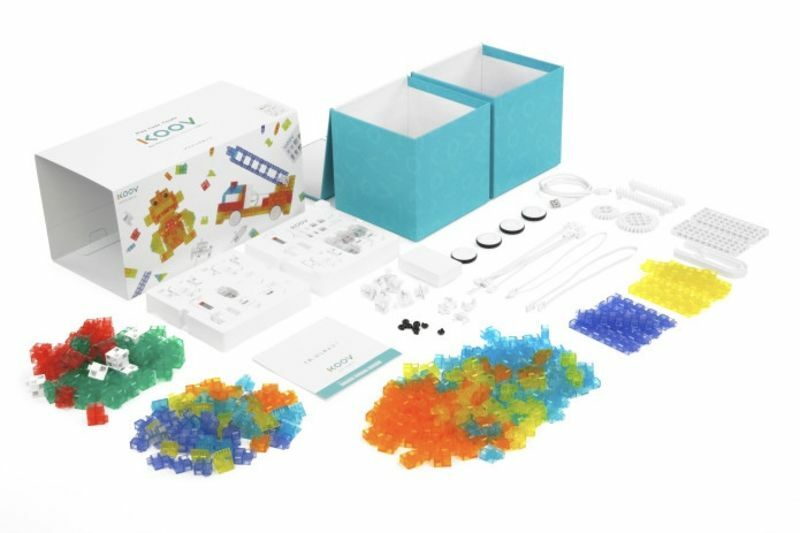 KOOV is designed for kids aged eight and up and the Educator Kit contains over 300 building blocks and 30 hours of educational STEM curriculum to teach kids Scratch, and introductory programming language to the KOOV app to control the robots they build. There are 23 different robots you can make using the pre-coded "Robot Recipe", which are a jumping-off point for kids to use those skills to build their own original robots. The KOOV app also includes class management software and works on Windows, MacOS, and iOS with Chromebook support to come. KOOV's core is a microcontroller that's based on the open-source Arduino platform which connects all the codes to the robots. The KOOV is available for pre-order, and kids can expect to get their hands on the kits by end of March. You can learn more about KOOV in the video below.